A comprehensive set of over 310 pattern jury instructions with detailed commentary explaining the intricacies of Maryland criminal law and relevant federal constitutional decisions. 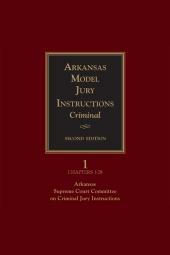 Includes jury instructions on the evaluation of evidence useful in both criminal and civil cases. Two volumes, softbound, released annually, with a searchable CD-ROM of both instructions and commentary text. 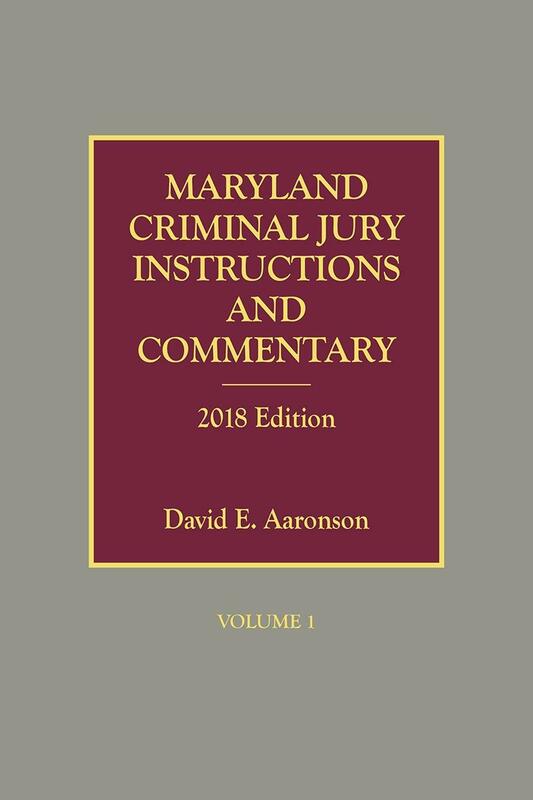 Maryland Criminal Jury Instructions and Commentary is two-books-in-one, a set of more than 310 criminal pattern jury instructions and a handbook on Maryland criminal law and related topics in evidence and criminal procedure. The criminal law handbook consists of the detailed comments following each pattern jury instruction. These commentaries guide the practitioner through the intricacies of Maryland criminal law. In addition, decisions of the U.S. Supreme Court and noteworthy decisions of federal circuit courts and other state appellate courts are included in the comment sections. 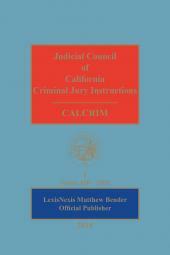 A fully searchable CD-ROM of both jury instructions and the accompanying text is also included. David E. Aaronson is Professor of Law and B. J. Tennery Scholar at Washington College of Law (WCL), The American University, Washington D.C. He is Director of WCL's nationally recognized Trial Advocacy and Advocacy LL.M. Programs. 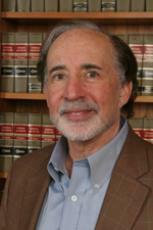 His areas of specialization include: Criminal and Civil Trial Advocacy, Evidence, and Criminal Law and Procedure. Professor Aaronson has authored or co-authored eight books and monographs and numerous articles on topics, such as criminal jury instructions, crime victims' rights and remedies, cross-racial eye witness identification, the insanity defense, and the death penalty. 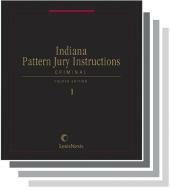 In 1975, Aaronson published Maryland's first book of pattern criminal jury instructions. The two volume Third Edition (2009) was updated annually in cumulative supplements through 2013. The revised 2014 - 2015 Edition is published in two volumes, soft-bound and will be republished annually with updates. 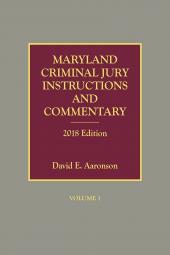 With its extensive and in-depth commentary, this work is two-books-in-one, a set of pattern criminal jury instructions and a treatise on Maryland Criminal Law and related topics in Evidence and Criminal Procedure. Professor Aaronson is a past chair of the Maryland State Bar Association's Section of Criminal Law and Practice and, currently, is an ex officio member. He is a member, former co-chair and chair of the ABA's Criminal Justice Section's Rules of Criminal Procedure, Evidence, and Police Practices Committee. He has served on the executive committee of the Association of American Law School's Criminal Justice Section. He is an elected member of the American Law Institute and the American Bar Foundation. He received the Robert C. Heeney Award in 1999 (presented "to those individuals exemplifying the highest professional standards and achievement in the field of criminal law during their distinguished careers") from the Maryland State Bar Association, Section of Criminal Law and Practice. He has been honored as The American University Scholar/Teacher of the Year and twice honored by WCL as "Outstanding Teacher". In 2011, he received WCL's Pauline Ruyle Moore Scholar Award in recognition of his scholarly work. Professor Aaronson received an LL.B. (1964) from Harvard Law School and an LL.M. (1965) from Georgetown University Graduate Law Center, serving as an E. Barrett Prettyman Graduate Teaching Fellow, Criminal Justice Clinic. He received his B.A. (1961), M.A. (1964), and Ph.D. (1970) (economics) from George Washington University.